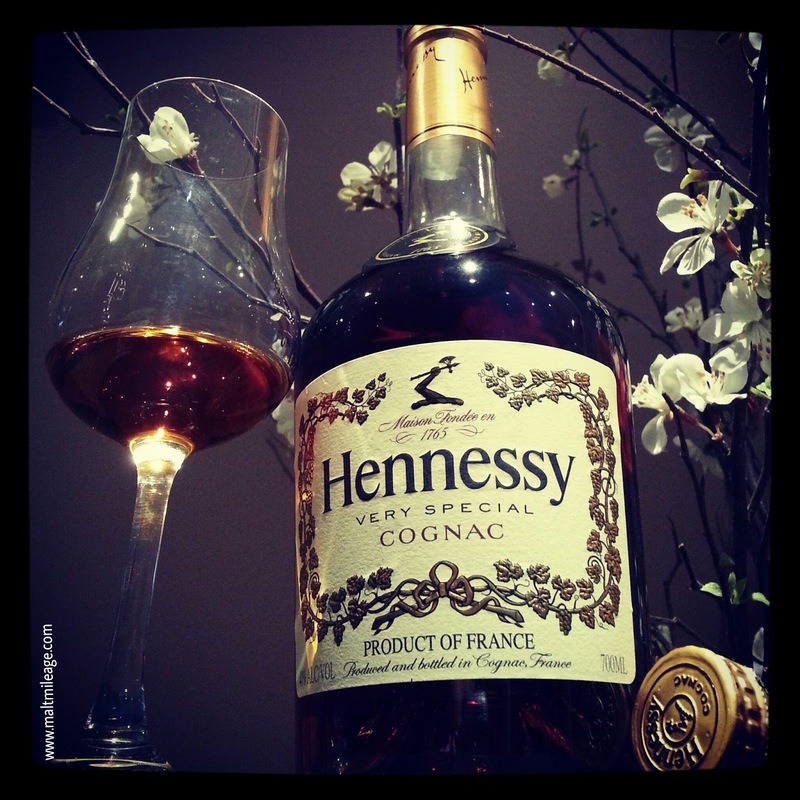 Hennessy VS (“Very Special”) is a cognac comprised of eaux-de-vie from the premier Cognac crus (grapes from specific areas in Cognac) and showcases a dense cloud of oak cloaking a heart of fresh white grape and toasted walnuts. Dense wood fills the glass, within which gentle waves of fresh white grape and toasted walnuts pulsate. The toasted walnuts develop into a mild earthiness with fresh almonds picked from the tree (both the almond flesh and the thick bitter husk that comes with it) over which sits some drizzled honey. Fresh and light, the bitter oak is beautifully balanced by the sweet honey that develops as the white grape transforms into a sugary grape compote. The sweetness does not dominate, because within it is a nuttiness and woody bitterness that brings some ground coffee; beautifully balancing out that sweetness. This is my type of cognac, not too fruity of sweet and nothing really “stands out”; it is not too oak influence, too sweet, spicy or bitter. The cognac has a harmonious character that delivers a smooth tasting cognac without noticeable ripples. This is the only real negative, because it is a little weak in terms of intensity but it lingers gently for a long time. The grape theme identified on the nose remains, this time with the bitter crunch of grape seeds that radiate from the tongue.